LOWER SOUTHAMPTON TWP., Pa. (WPVI) -- Police in Lower Southampton, Bucks County are asking for help to catch a woman in what they call a "scratch and scram." 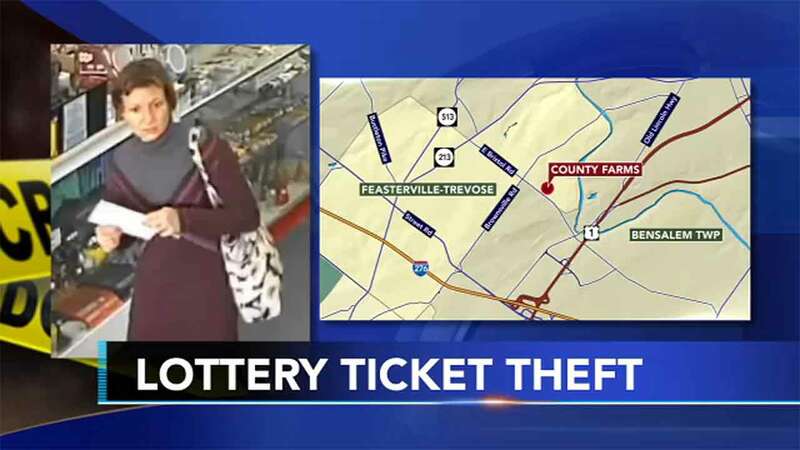 Investigators released a surveillance photo of the suspect who stole scratch-off lottery tickets from the County Farms store. Officials were not quick enough to deactivate the batch and some winning tickets were successfully cashed in. Police are asking for help identifying her.